SRF in Fortuna, CA is this week – an excellent conference for those interested in salmon restoration work. 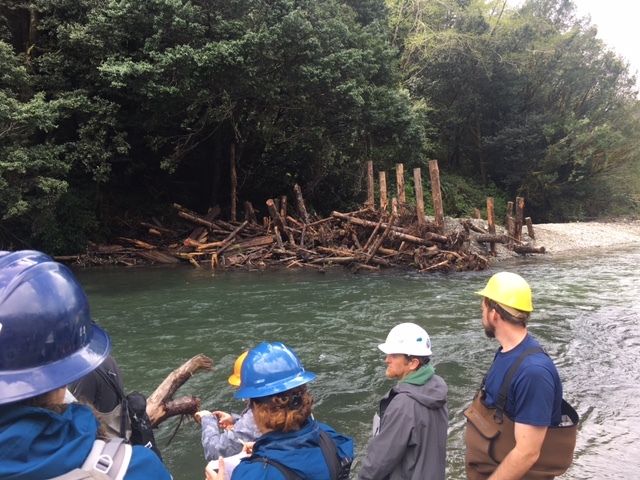 There was a trip up to the Klamath yesterday to tour the work being done on Terwer Creek – we saw the very impressive engineering, design and implementation work aimed at increasing the complexity and resiliency to instream and off-channel habitat for salmon and steelhead. The tour was lead by Rocco Fiori, whose firm did much of the work in collaboration with the Yurok and Green Diamond. Good stuff!